A concentration of beauty, this has been a chosen location for many of our workshop lessons. 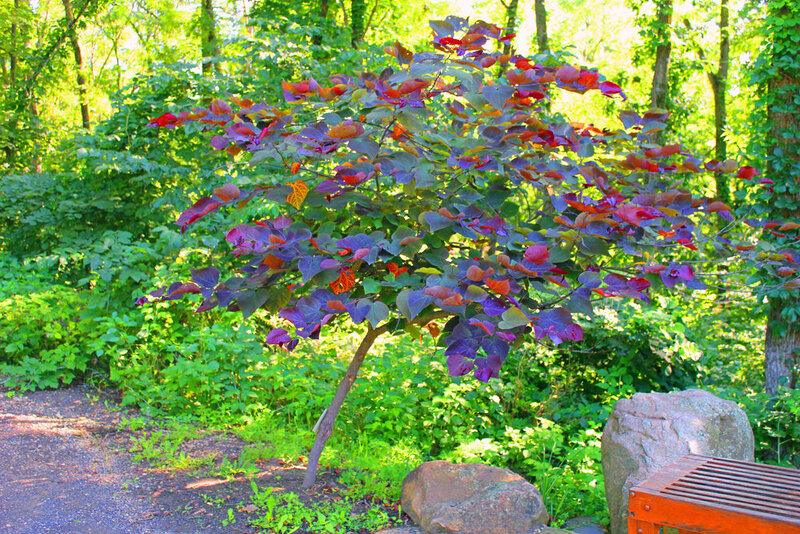 Dubuque Arboretum occupies 52 acres of gardens on rolling hills surrounded by forest. It has been built and maintained by community volunteers since 1980. Gardens: Formal Rose Garden, Bausman Old Garden Roses, Formal English Garden, Herb Garden, McGreger’s Children’s Garden, Hosta Garden, Japanese Garden, Children’s Flower and Vegetable Garden, Iowa State and All American Test Gardens, Annual and Perennial Gardens and Dwarf Conifers. Restaurants and HyVee deli 5 minutes to south along Arterial Road. Eagle Point Park was designed by renowned landscape architect Alfred Caldwell. One hundred sixty-four acres overlook the Mississippi River and Lock and Dam #11, providing spectacular tri-state views of Iowa, Illinois and Wisconsin. It also boasts landscaped grounds and prairie style park structures, including a beautiful fish pond. The Mines of Spain Recreation Area occupies 1380 acres of beautiful wooded and prairie land just south of Dubuque, IA. 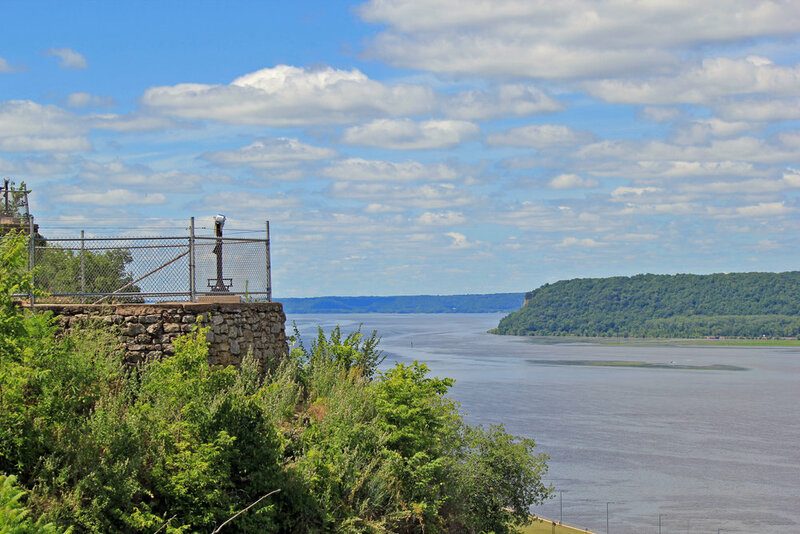 It has been designated as a National Historic Landmark and includes Julien Dubuque’s Monument (River Overlooks) at a point just above where Catfish Creek meets the Mississippi. Images shown are from the ¾ mile Horseshoe Bluff Trail, which traverses a pond and a unique setting inside a large quarry. Mines of Spain also includes a 15 acre wetland, creeks, forest, prairies, cropland, and meadows. Need to know: The various trails in the park are not connected by a single road, but are accessed from various highways. Best from town to the center of the park is from fork at Julien Dubuque Monument entry. On Horseshoe trail, go south from the parking lot. You will first go past the pond, then to the quarry, with a mild climb to upper levels. Just before the quarry is a path to the right which crosses the RR track and ends at a small beach on the Mississippi. Barges are usually parked across the river. Restrooms: At Horseshoe Bluff trailhead and E.B. Lyons Nature Center. Food: No concessions in park. Head to downtown or along HWY 52. A fav of the AU, this park and marina is at the termination of a beautiful drive down Massey Road or Old Massey Road through Grant Wood style countryside. Massey Park is a county park on the Massey Slough of the Mississippi. Massey Marina has been around for decades, and generations of Dubuquers have slipped their boats here. The park, marina, and surrounding community offer some intriguing painting opportunities highlighting old Dubuque river culture. Need to know: Marina owners would welcome you to paint on the dock if not busy, which would be any time during the week. Gary "Moose" Gaherty owns the property at the entrance and has a huge antique tractor collection in his metal buildings. He welcomes painters on the grounds, and might be talked into setting one out for painting or even providing a beer out of his garage fridge if you talk to him nice. Food: Breakfast, Lunch, Dinner served in upper level of Marina; consider planning painting around breakfast, which starts at 7.